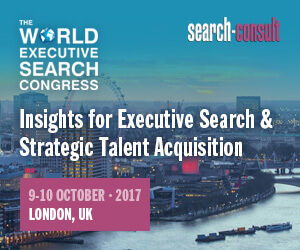 Investing in executive search software is a key decision taken for today and tomorrow. If you select FileFinder, you can be confident that your decision will be backed up by a business which understands your needs and invests in your future. Is my data secure and GDPR compliant? If you choose to implement our FileFinder Cloud solution, you data is stored securely. Unlike other vendors, we never cache data on local machines/devices, ensuring you are not risking data breaches via a lost laptop or phone. We became the first specialist vendor to be accredited to the US/EU Privacy Shield and are thought leaders in terms of GDPR and data privacy, with our complimentary webinars and white papers accessed worldwide. Do I install FileFinder Anywhere on my server, or do you host it in the Cloud? Most FileFinder Anywhere clients will be hosted by us in the Cloud and this is the only option for FileFinder Anywhere Essentials. However, if you have a suitable set-up, internal hosting is possible with our Premium Edition. I have legacy data. Can I convert it? Absolutely. Over the years, we have converted – literally – hundreds of databases to the FileFinder format, particularly from products such as Bullhorn, Cluen Encore, Bond Adapt And Vantage, Invenias, iCims, Sendouts and more. Talk to us! Can FileFinder be accessed from multiple locations via the Internet? My business is very small / very large. Will FileFinder be appropriate for me? Yes. Our client base ranges from independent consultants / researchers through boutiques up to some of the largest firms in the Executive Search industry. A huge variety of configuration options ensure that FileFinder will meet your needs. We are also proud to have been chosen by Corporate Clients that include Fortune 100 firms. Do I buy FileFinder, or is it available by subscription? Again, either approach is fine. We offer FileFinder as an outright purchase, SaaS model or a Hybrid approach that offers the best of both! It varies! If you are implementing FileFinder Anywhere Essentials, we offer a quick start training program that will have you up and running with a couple of hours training. If you go with Premium Edition, we will work with you to agree a training plan that reflects your needs. You do not have an office in my country. How can you implement FileFinder and support my firm? We have clients in more than 70 countries and, in many cases, have implemented FileFinder and provided support entirely remotely. Check our testimonials page to see how well this works! How do you support me? Your Support and Development Contract provides you with unlimited support. Any member of your team may call any of our offices. Any member of your team may take advantage of our online training resources in the Client Area. In addition, our support contracts entitles you to system migrations as new releases of FileFinder become available (we charge only for the time taken to implement the new version and for any training required).